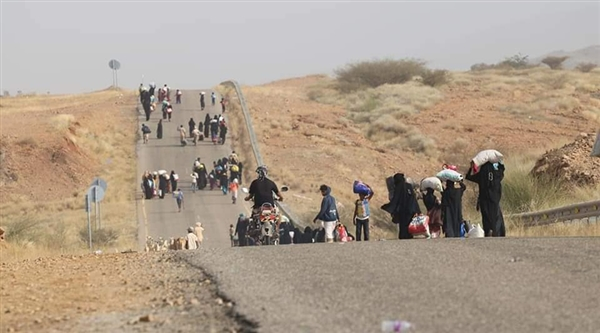 Alsahwa Net- Houthi militias on Saturday committed a massacres against internally displaced persons (IDPs) in the district of Haradh in Hajjah governorate. Local sources told Alsahwa Net that seven IDPs were killed and other 30 were wounded, most of them are children and women, when the Houths indiscriminately bombarded their camps. For its part, King Salman Humanitarian Aid and Relief Centre (KSrelief) has denounced the Houthi attack on Yemeni internally displaced persons in the district of Haradh in Hajjah governorate.